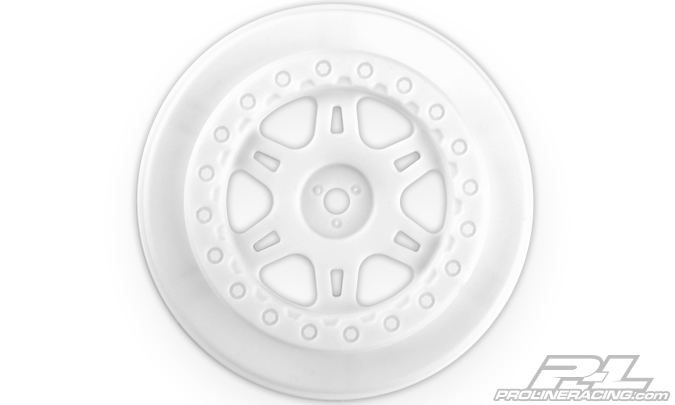 The Pro-Line ProTrac Split Six SC Wheels will fit the new Axial EXO Buggy. 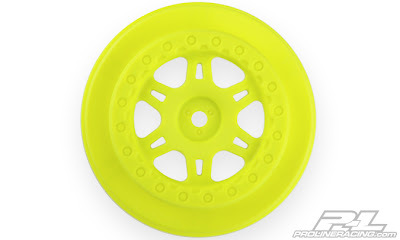 The EXO Buggy needs the offset from the ProTrac wheels to fit correctly. These wheels will give people the choice to use any of the short course tire from any brand out there today. 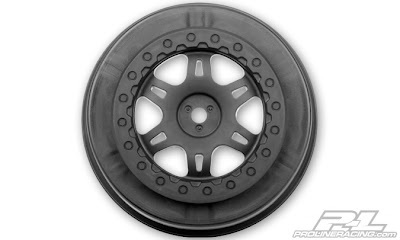 The wheels can be used for the front or the rear, but the wheels on the front will be a little bit wider then the stock wheels that come with the EXO Buggy. The wheels come in three colors: Black, Yellow, and White.